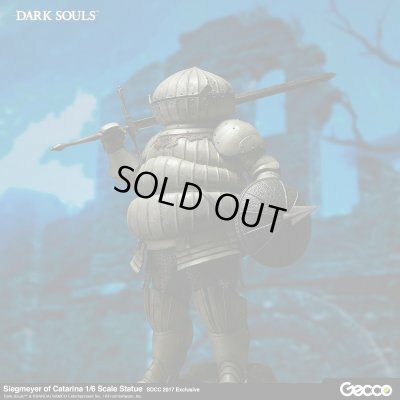 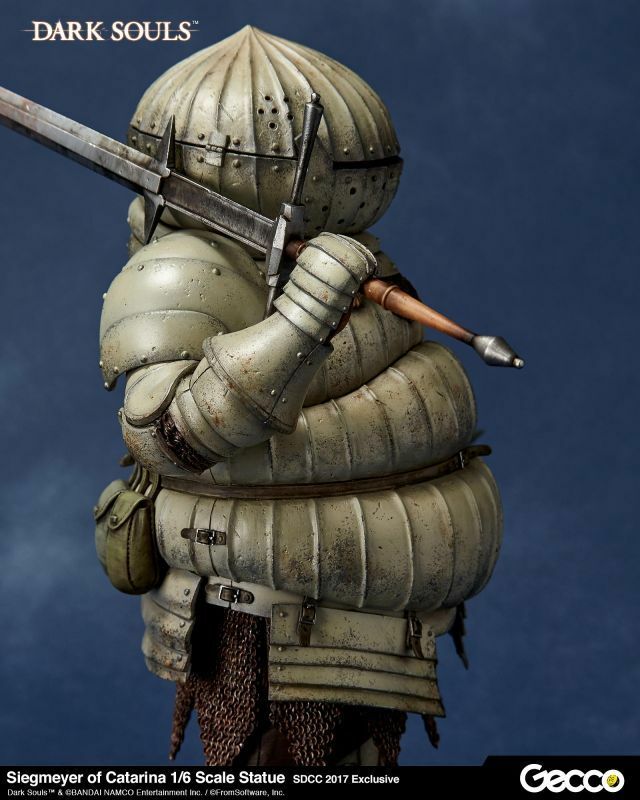 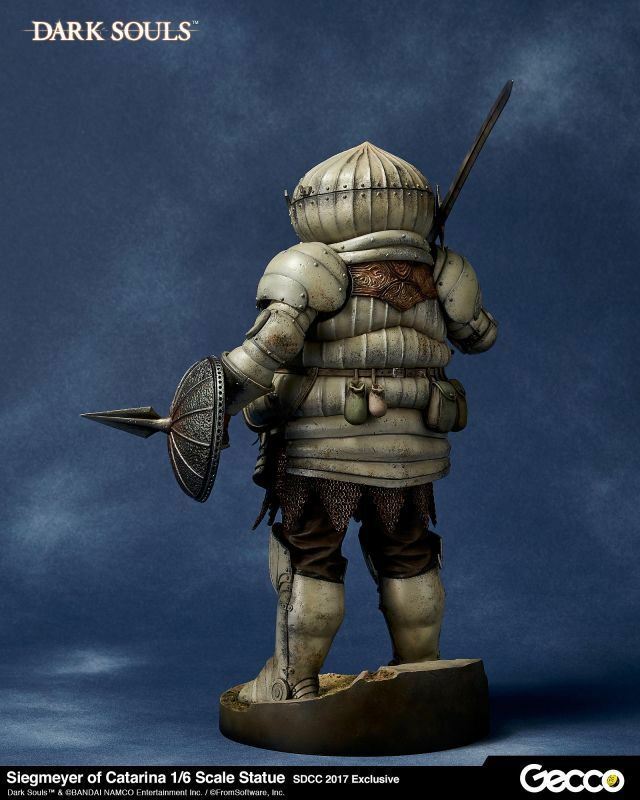 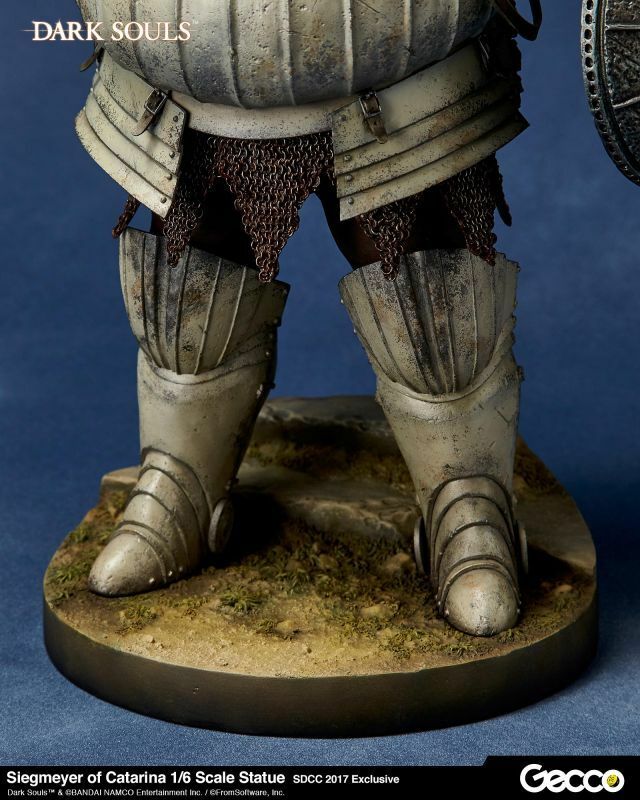 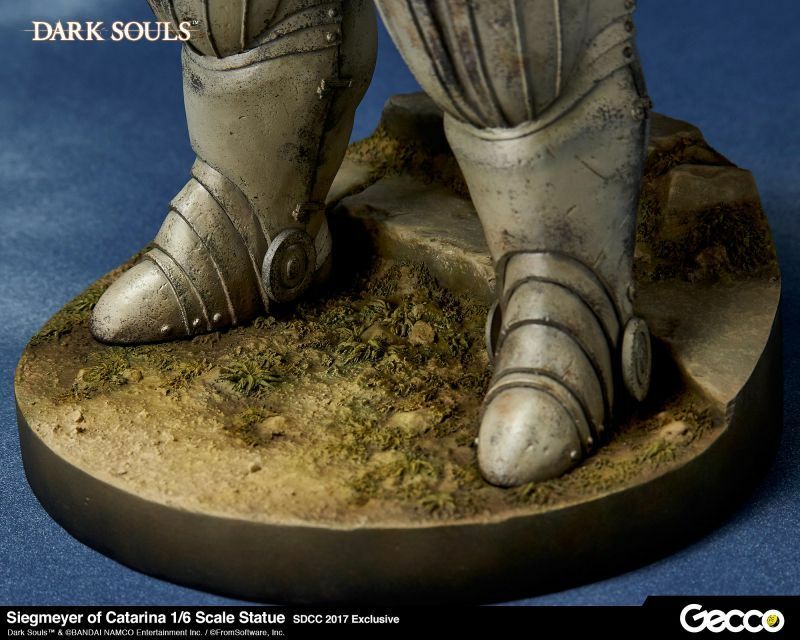 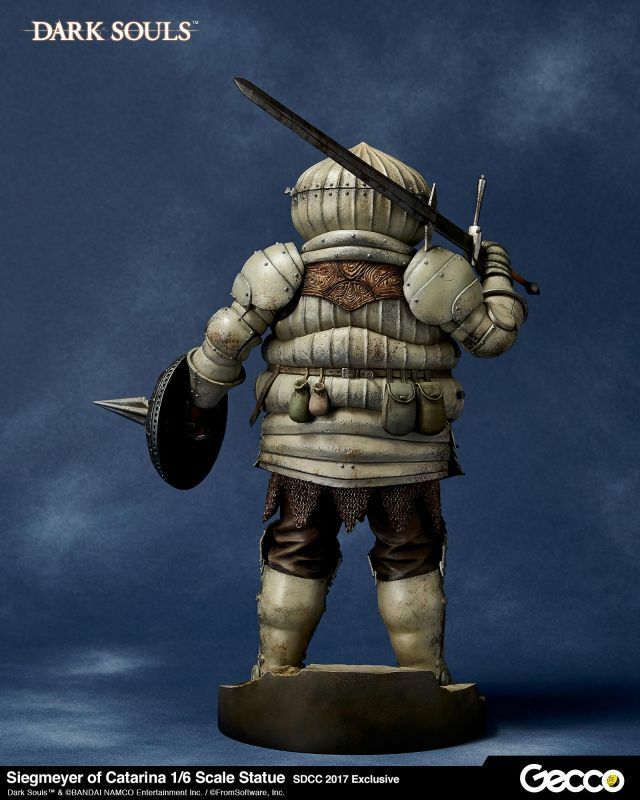 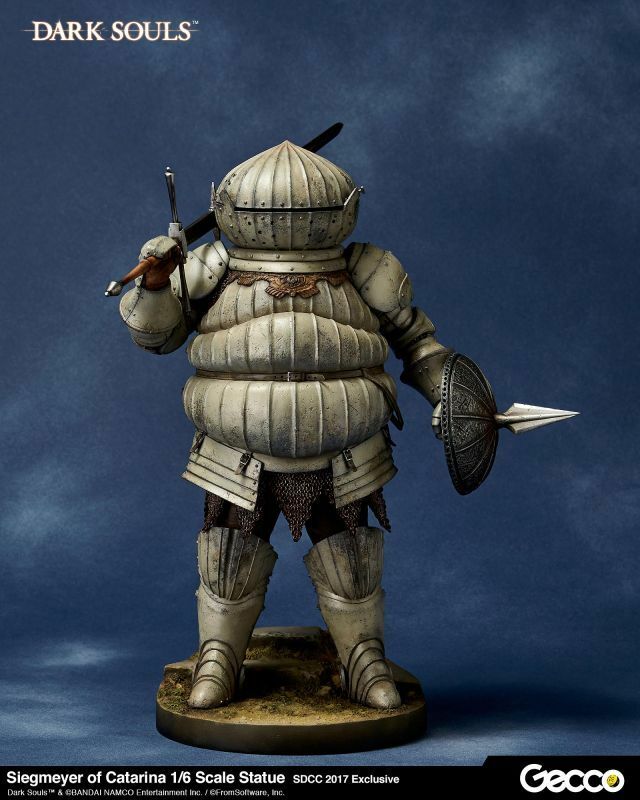 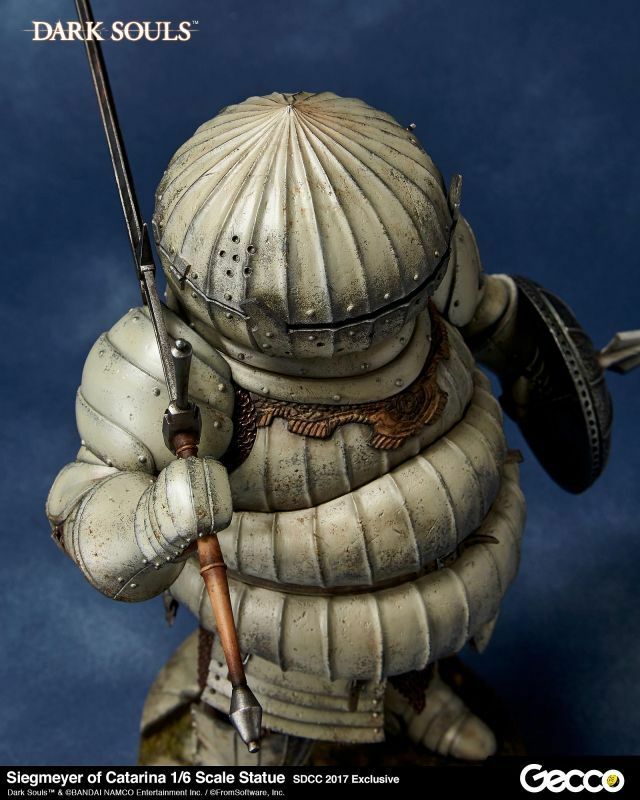 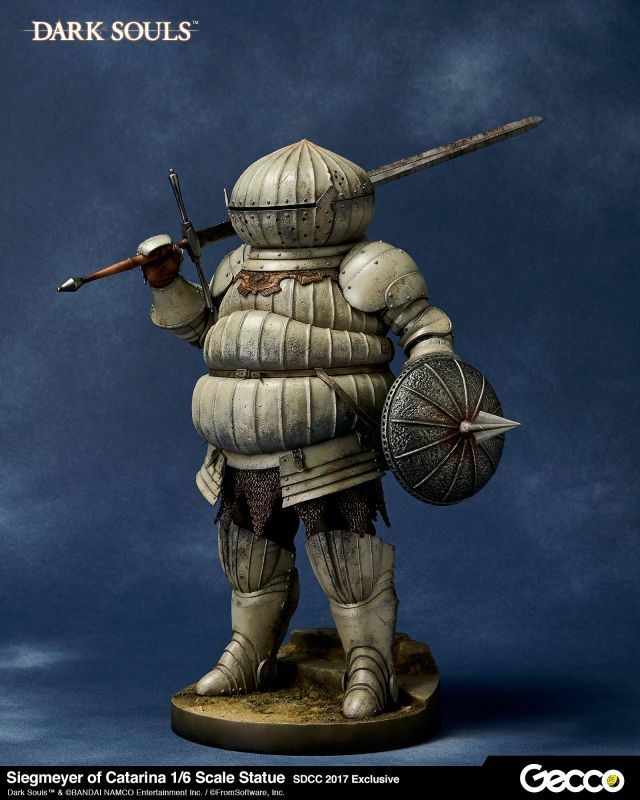 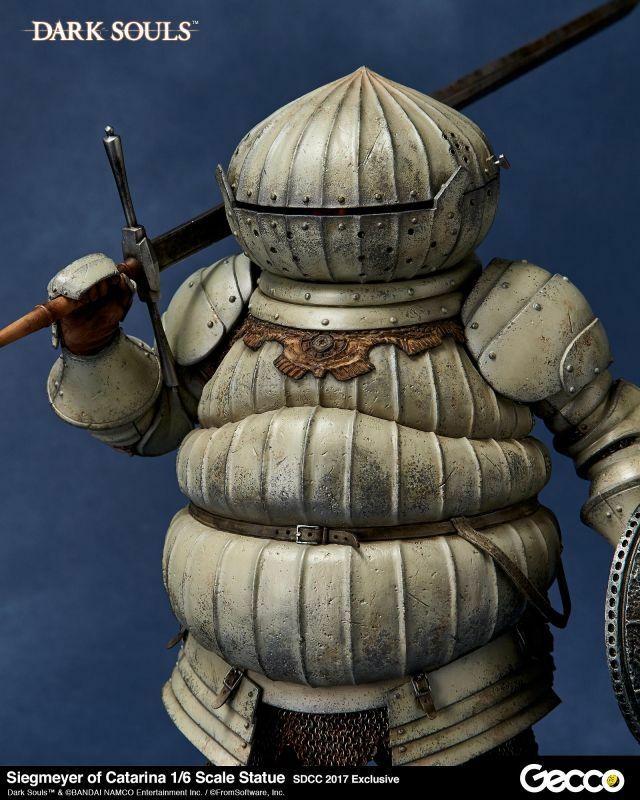 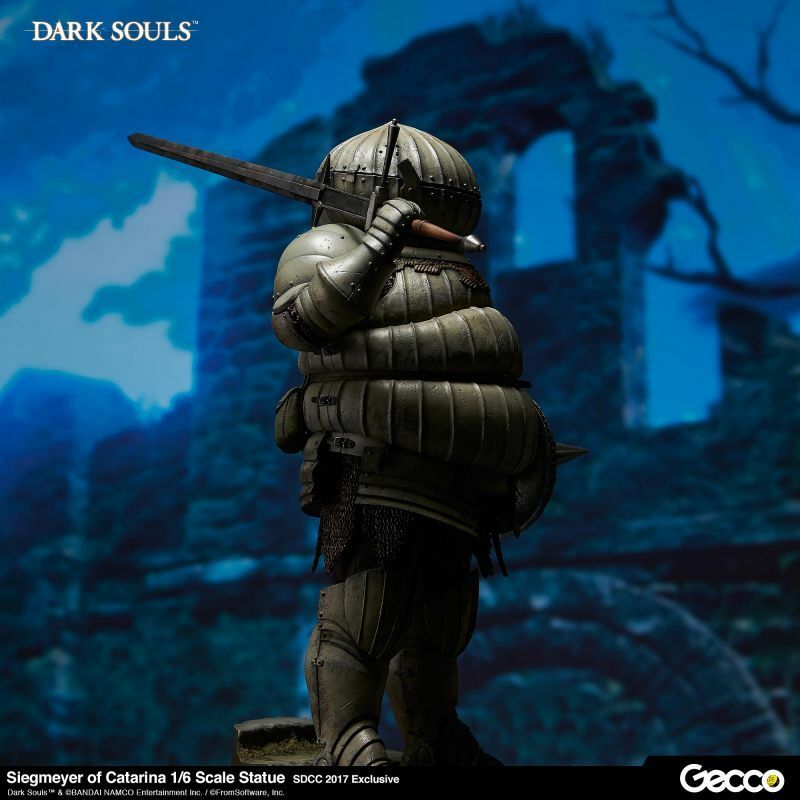 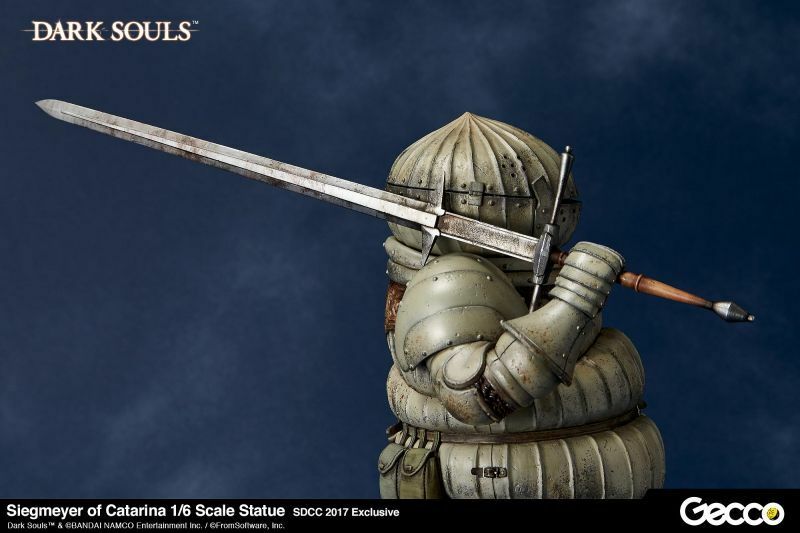 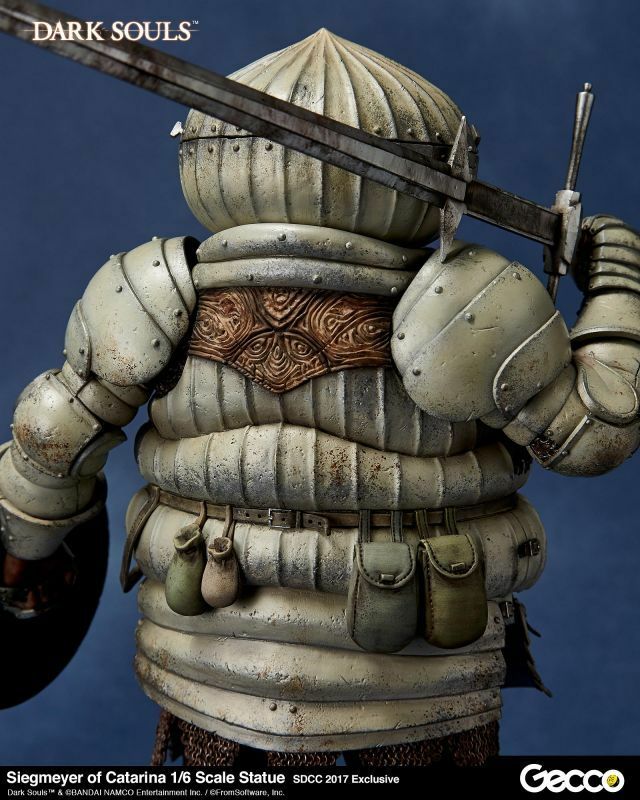 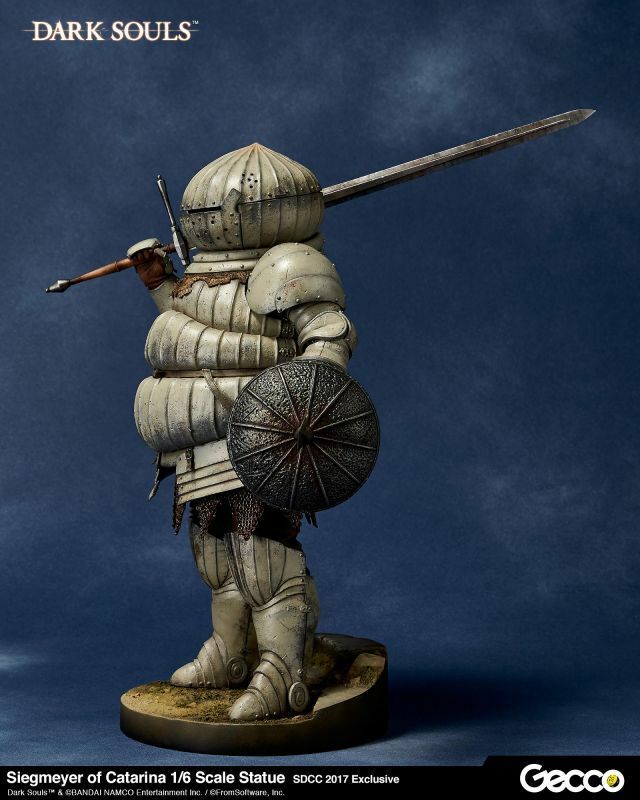 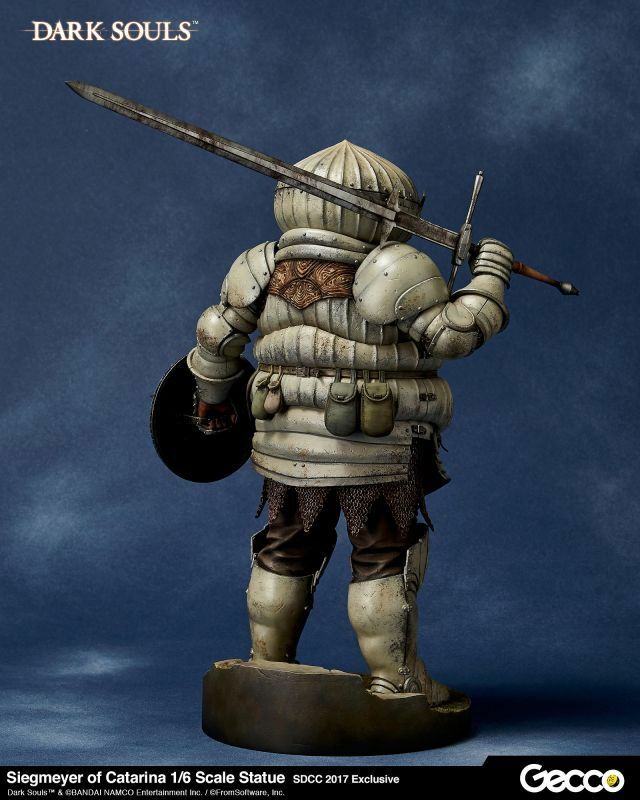 One of the most beloved NPCs (Non Player Characters) appearing in the DARK SOULS series, Siegmeyer, is recreated as the exclusive statue for San Diego Comic-Con 2017, with thorough supervision by the design team of FromSoftware. 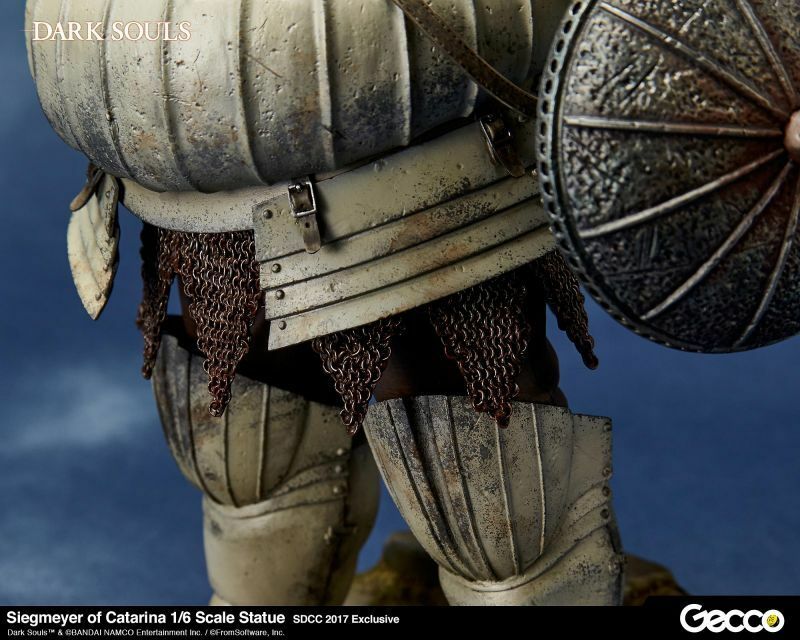 It was entirely sculpted by hand, and the chainmail of the prototype seen under the armor was woven and produced in the same way as real armor, using small metal rings. 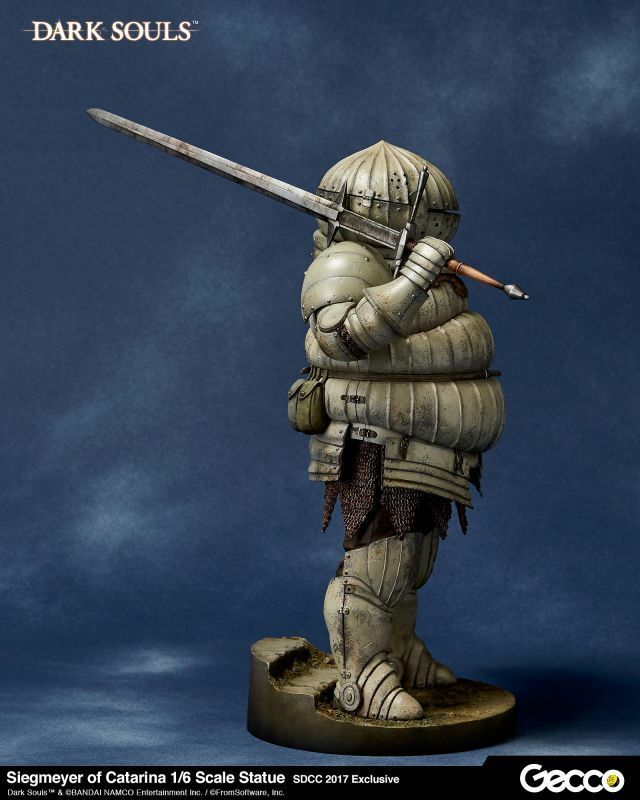 The battle scars all over the body accumulated during his adventure are finely recreated with skillful sculpting and painting. 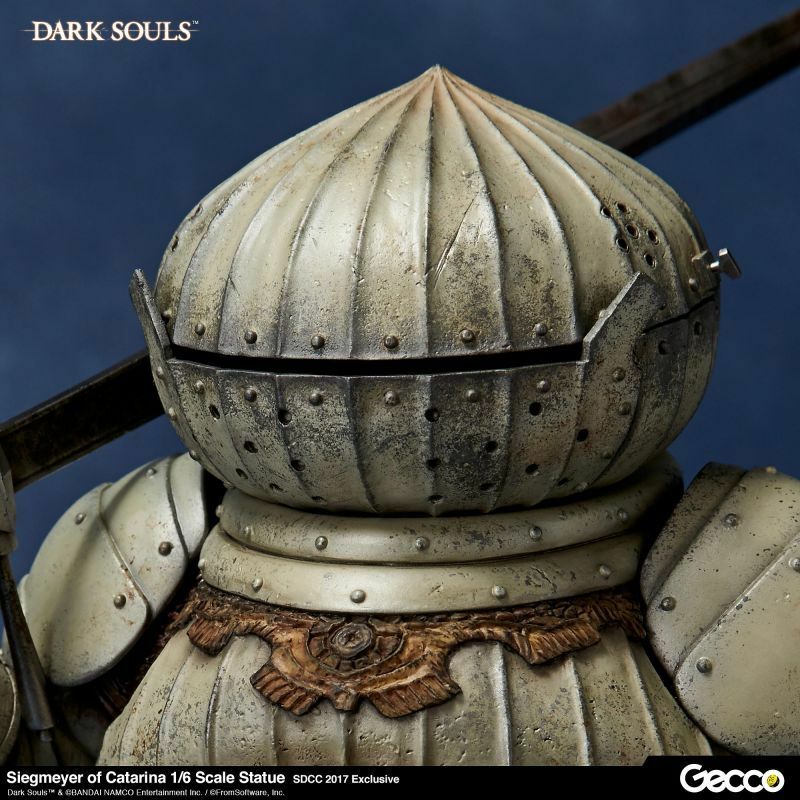 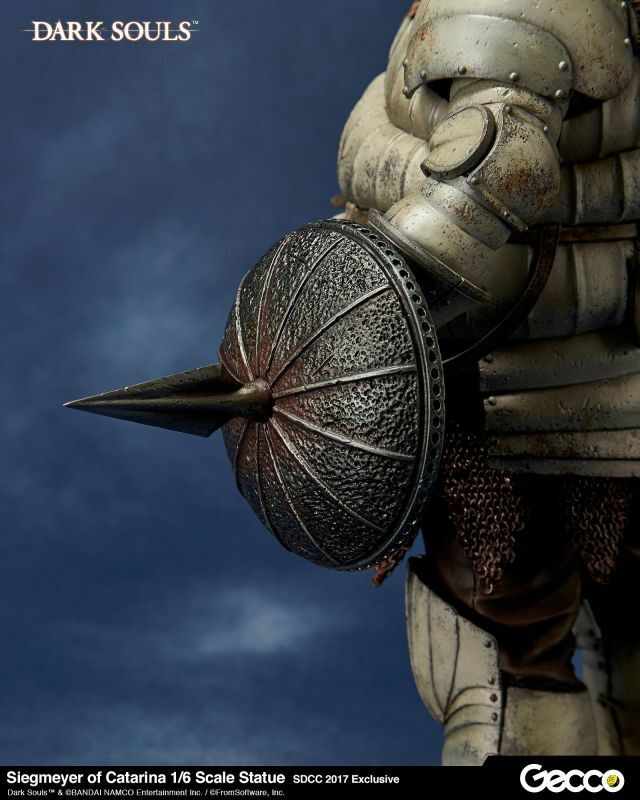 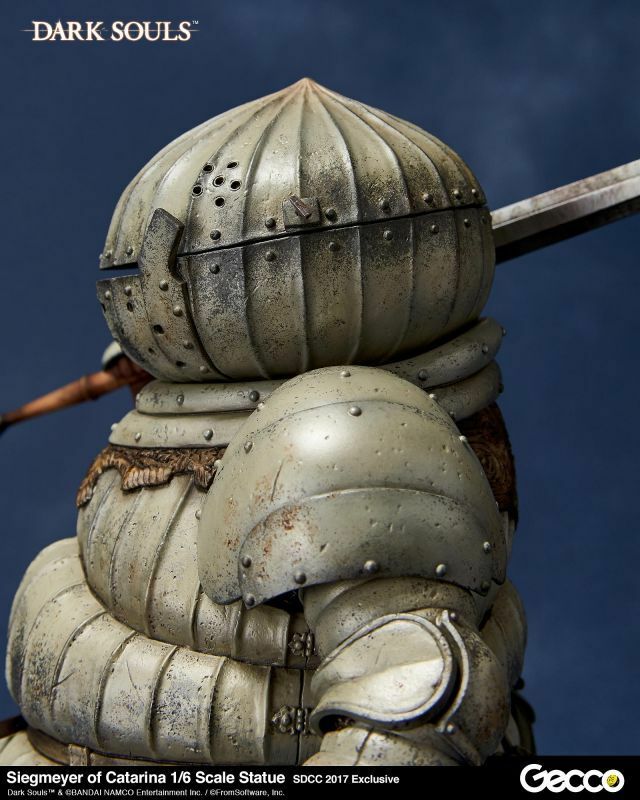 The slit of the helmet is not simply filled, but actually sculpted like a real helmet, which allows you to see the never revealed Siegmeyer's face in the game. 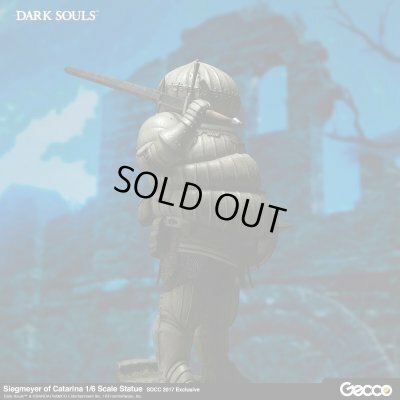 Dark Souls TM & ⓒBANDAI NAMCO Entertainment Inc. / ⓒFromSoftware, Inc.
*Please settle the full amount of payment before San Diego Comic-Con. 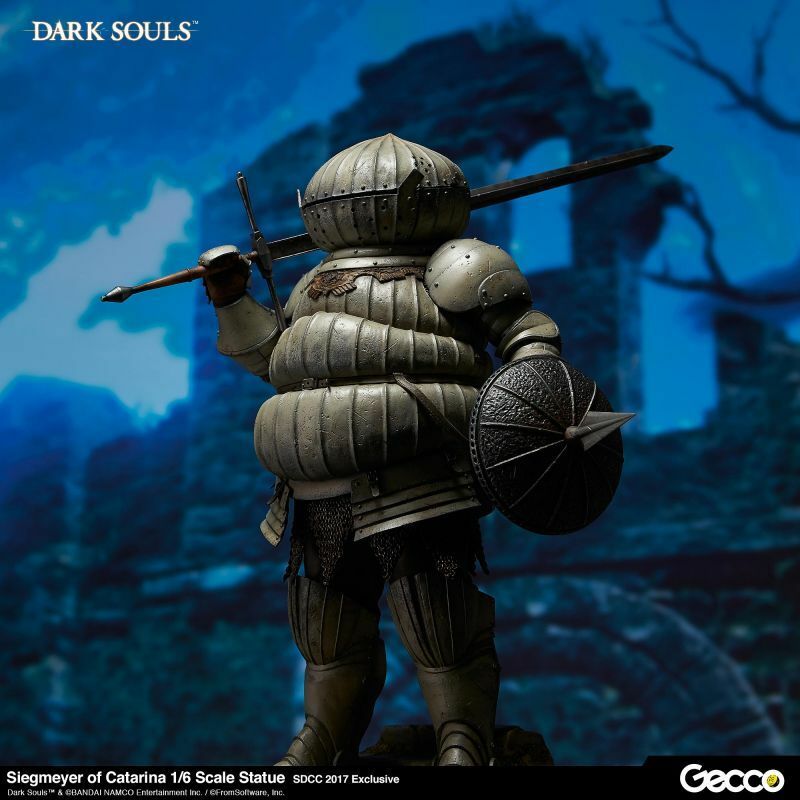 *Please come pick up your order at Gecco Booth (#4913) during the show, July 19th~23rd, 2017.